Dreaming in French tells the effect of the Parisian experience on the lives of three American icons – Jacqueline Bouvier Kennedy, Susan Sontag, and Angela Davis. Their time abroad was not long but served to shape their intellectual and cultural makeup and ultimately their callings in life. 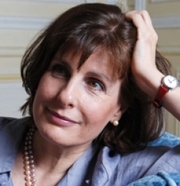 Alice Kaplan is currently considered a "single author." If one or more works are by a distinct, homonymous authors, go ahead and split the author. Alice Kaplan is composed of 3 names. You can examine and separate out names.